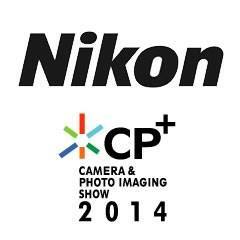 I am almost certain that there will be new Nikon mirrorless lenses announced at CP+. 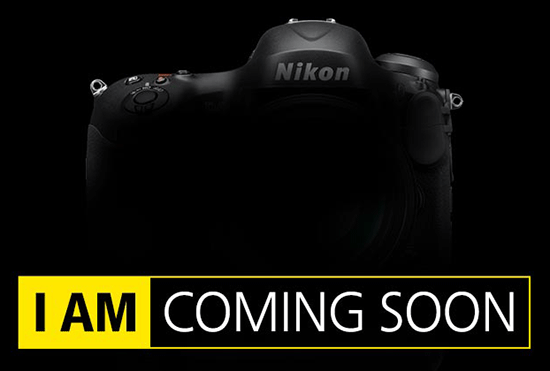 A redesigned Nikon 1 V3 camera with 4k video is also very likely. On several occasions Nikon confirmed that they are still committed to the their mirrorless line, even after disappointing sales from Europe and the US. There is still possibility that new Nikon 1 products will be announced only for the Asian market - just like what Canon did (the Nikon 1 AW1 is still hard to find in the US). A new Nikkor AF-S 300mm f/4G VR lens has been rumored for months now. New Nikon 1 lens(es) as mentioned above. There is a very good chance that Nikon will respond to the Sigma 18-35mm f/1.8 DC HSM lens with new Nikkor f/1.8 DX zoom lens. There is a possibility for a new 16mm fisheye lens. Some of tips I received point that a new fisheye zoom is currently in testing and could be announced by the end of the year (something similar to the Canon 8-15mm lens). The Nikon version is supposed to be circular fisheye at the wide end, rectangular at the long side and could be wider than 8mm. The D7200 will most likely be the next Nikon DSLR camera announcement, but I do not expect it before the summer (Photokina is in September). No Nikon D400 for now. 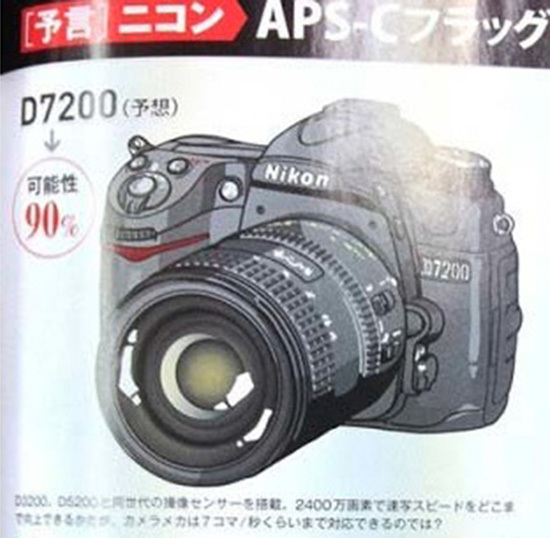 The D7200 could also once and for all kill the DX PRO line (D300s) depending on the included specs and features (if we get a big enough buffer and few extra direct manual controls, we can assume that the D400 will never come out). A total of 3 or 4 new DSLR cameras are rumored to be announced this year. 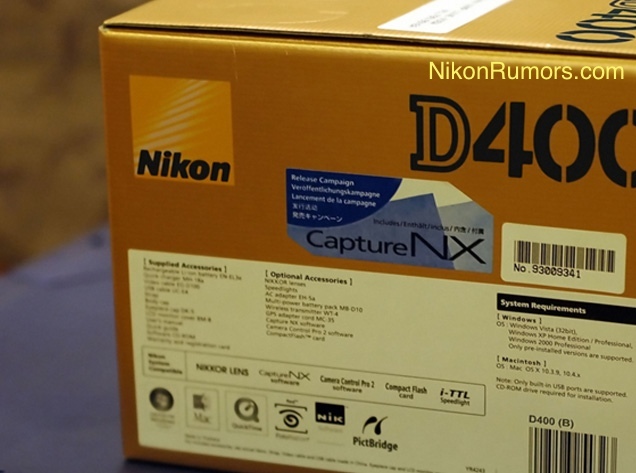 If we count the D4s and D7200, that means at least one more mystery DSLR camera this year. The new Nikon Coolpix AW120 will have a 24mm wide-angle lens with some new accessories to compete with GoPro cameras. Apparently the current Coolpix AW-110 was one of the bestselling cameras for Nikon in 2013 and they want to concentrate on this product line. 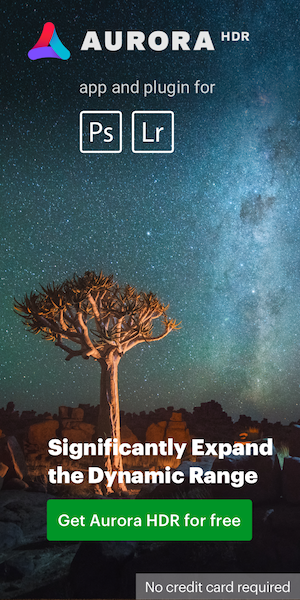 The new Coolpix P530 will come with a new technology to extend the camera zoom to 2000mm without losing too much resolution (enhanced digital zoom). There is still a possibility for a new compact with a new 1" sensor (similar to the very popular Sony RX100) - few months ago Aptina's VP mentioned that a new compact camera with 1" sensor is expected to be announced at the beginning of next year by one of "their current customers", but this could be for the new Nikon 1 model(s). Replacements for the P330 is also expected. If you have any other information on the products listed above, or any other tips, please contact me (no email needed to submit an anonymous tip). See what other companies are rumored to announced for CP+. This entry was posted in Nikon 1, Nikon D400, Nikon D4s, Nikon D7200, Nikon Lenses, Nikon Point and Shoot and tagged what to expect. Bookmark the permalink. Trackbacks are closed, but you can post a comment.